The Asphodelaceae is a family of around 12 genera and over 800 species with a mainly "Old World" distribution, from the Mediterranean area and Africa to central Asia with one genus in New Zealand. 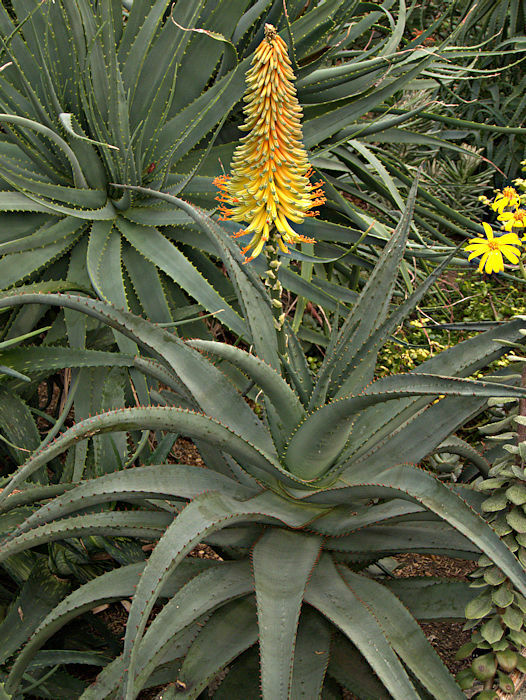 The family includes the succulent Aloaceae and several horticulturally significant genera e.g. Kniphofia (Red Hot Pokers), Asphodeline. 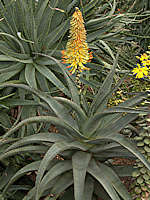 The Asphodelaceae have rhizomes or thickened storage roots and mesomorphic or succulent leaves. Inflorescences are branched or unbranched with pedunculate, often tubular flowers. The succulent genus Bulbine is noteworthy for its member species having distinctive hairy (bearded) stamens.